When it comes to food and fashion, it is natural to be inspired by the season; well, the little secret to make a house become your home is to do that with interior decoration too. You won’t need anything showy; a few well-mixed elements will do and they will easily create the right atmosphere. Pewter is perfect to the purpose: being a precious material yet not a show-off, it enriches the most refined rooms with its timeless elegance. We made five mood-boards and we mixed Marinoni pewter items with other design objects, for you to get inspired. The common denominator is the natural origin of the elements we chose such as felt, wood, fabric and pewter. Let’s start with the brightest one, for the most energetic and lively people, where red dominates. 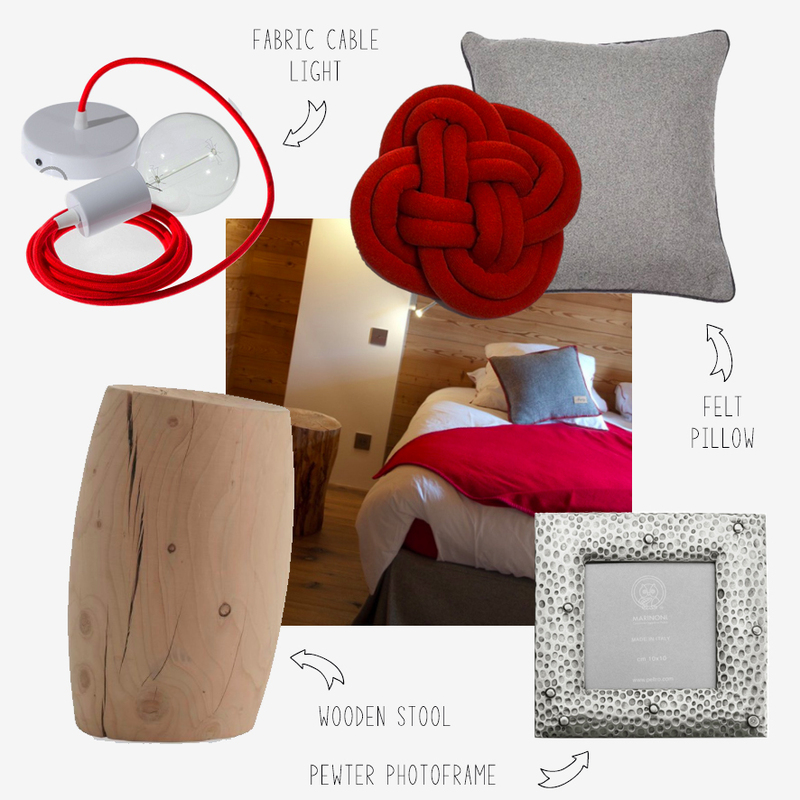 A lamp with a red fabric cable, felt cushions, a wooden stool and the Marinoni pewter picture frame: see the result. Our second proposal is more refined and design-oriented; curves and circles bring softness to this board. 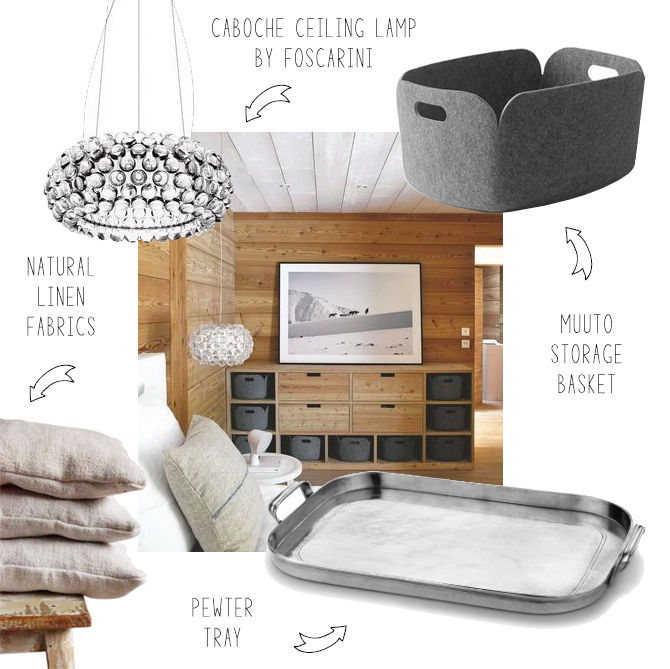 The Foscarini Caboche ceiling lamp determines the style of the scheme and it charmingly blends with the Muuto felt basket, the natural linen fabrics and the rounded corners pewter large tray. In this combination, black adds definition to the natural colour scheme and provides a graphic contrast. The Nordic note is also given by the fur throw and the pewter and slate square tray. The Scandola rectangular table and the Hay chair complete the atmosphere. With black as a dominant shade, tartan pattern and antlers chandelier, pewter grey in this combination has the ability to enhance other colours with a supremely sophisticated effect. 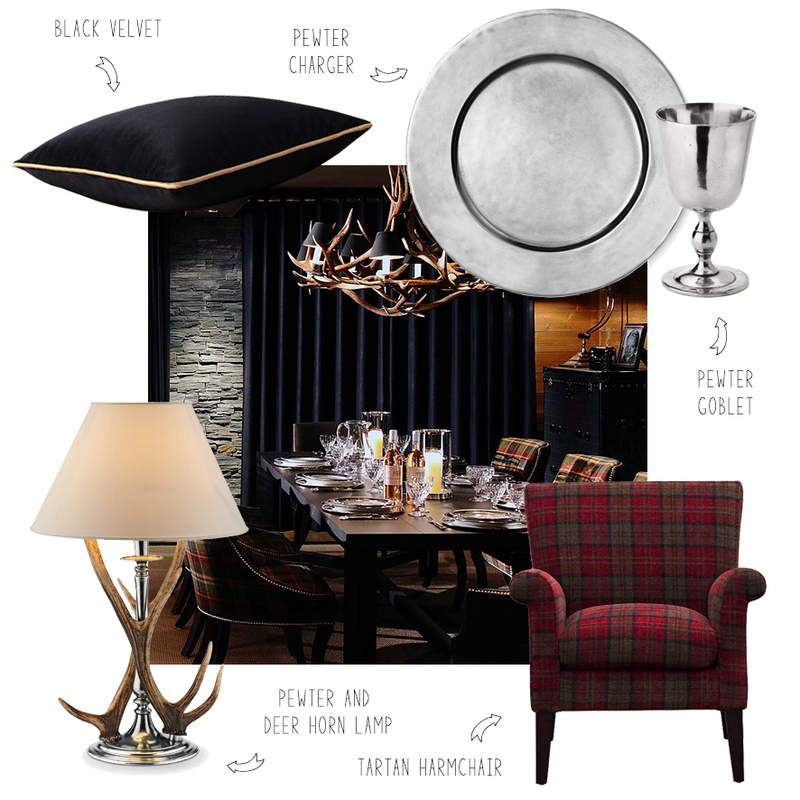 You can see the intriguing refined shades of grey with a hint of yellow in these Marinoni pewter objects: pewter and deer antlers lamp, charger and goblet. 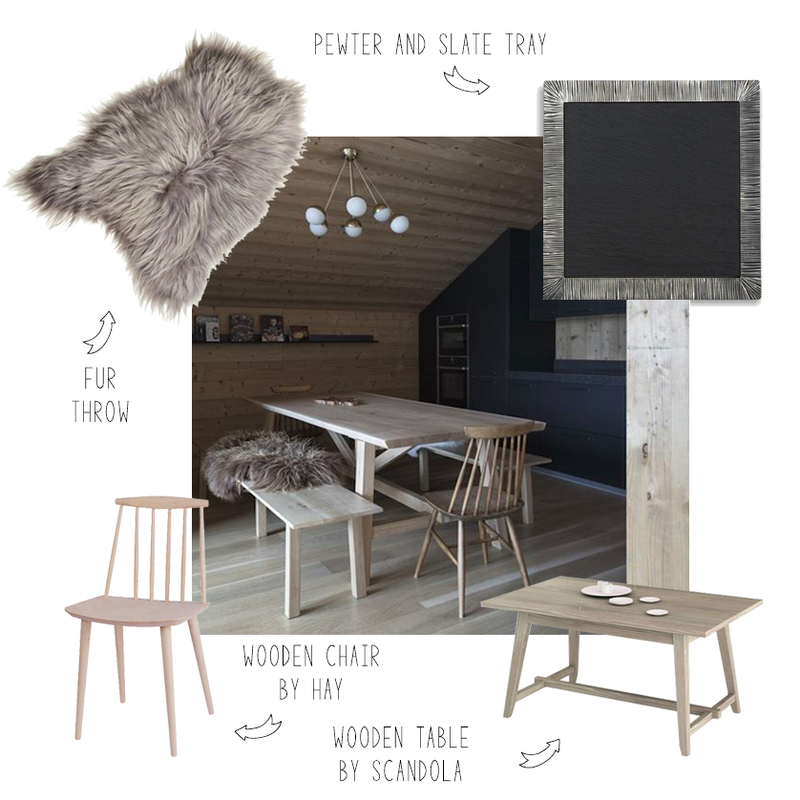 Our last proposal takes a natural palette with pale grey and light wood. 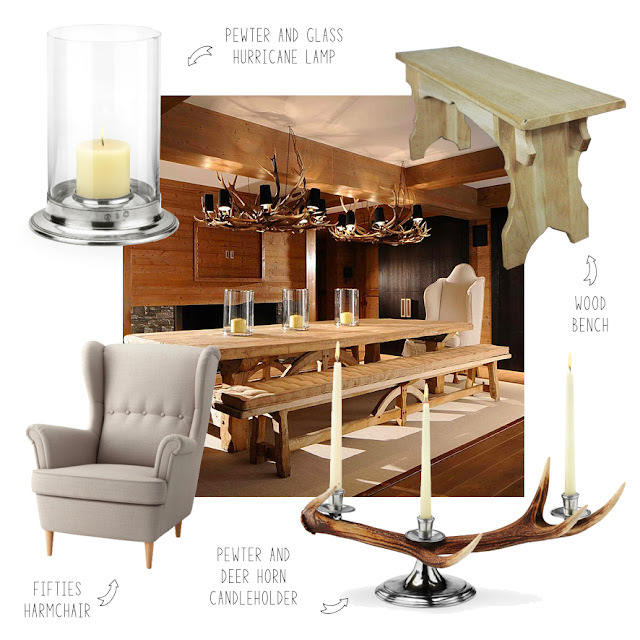 Together with the fifties armchair and the wooden bench, the handcrafted pewter and glass hurricane and the deer antlers candleholder contribute warmth and character to the interior.